Prepare and grill vegetables as directed for Grilled Vegetables with Balsamic Marinade. Prepare pesto as directed using Traditional Basil Pesto. Spread tortillas with about 2 Tablespoons pesto. Arrange vegetables in center of tortillas. Fold up bottom of tortilla and roll up sides. 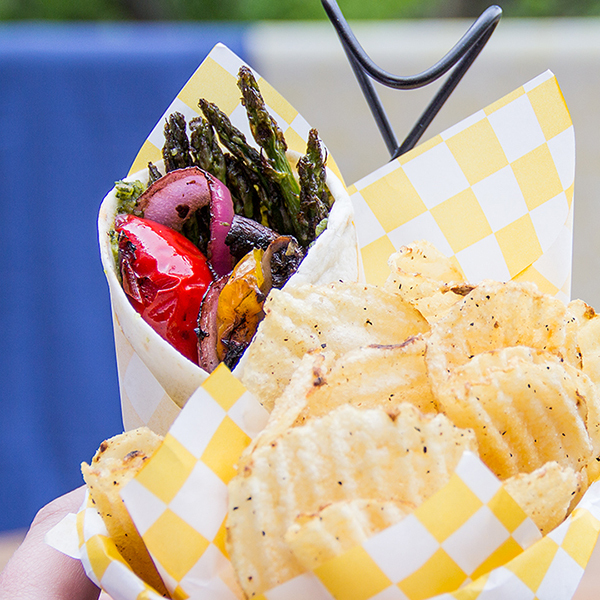 Test Kitchen Tip: For easy carrying at a picnic, serve the wraps in small buckets or cups with chips.